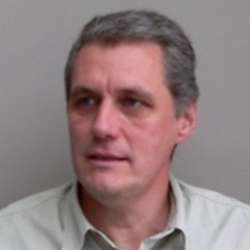 Paul Cautereels is member of the Alcatel-Lucent Bell Labs research department. Within Bell Labs Paul is member of the IP Platforms Program where he is investigating how high-demanding Network Functions can be deployed efficiently in a Cloud environment. Paul received a master degree in civil engineering (both electronics and mechatronics) from the university of Leuven in 1989 and 1990 respectively. Since 1992 Paul has been working for Alcatel-Lucent in various roles: Paul started as a PCB designer, but afterwards he also took up positions as ASIC designer and system architect. In 2000 Paul joined the Alcatel research department (Bell Labs after the merger with Lucent) in which he started investigating novel building blocks for the access network. At that time the transition from ATM to Ethernet/IP based DSLAMs took place, requiring a new type of packet processor. Paul was one of the main architects to draw the architecture and demonstrate a prototype of the first in-house packet processor optimised for the access network. Since then, processor architectures and designs are one of Pauls most favorite topics. Afterwards, Paul became member of the MultiMedia Technology team in Bell Labs, where he was investigating large scale video coding concepts and architectures. More recently, Paul joined the IP Platform Program, where he is focusing on Network Function Visualization. Paul is also (co-) author of 10 patents.